Halloween has always been a favorite holiday in our household. Every year I make our family’s costumes. Our family has grown to six of us now, and many friends and family look forward to see what we come up with each year. 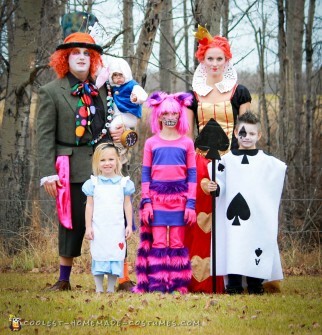 This year, we held a family meeting and chose Alice in Wonderland as the 2015 theme. 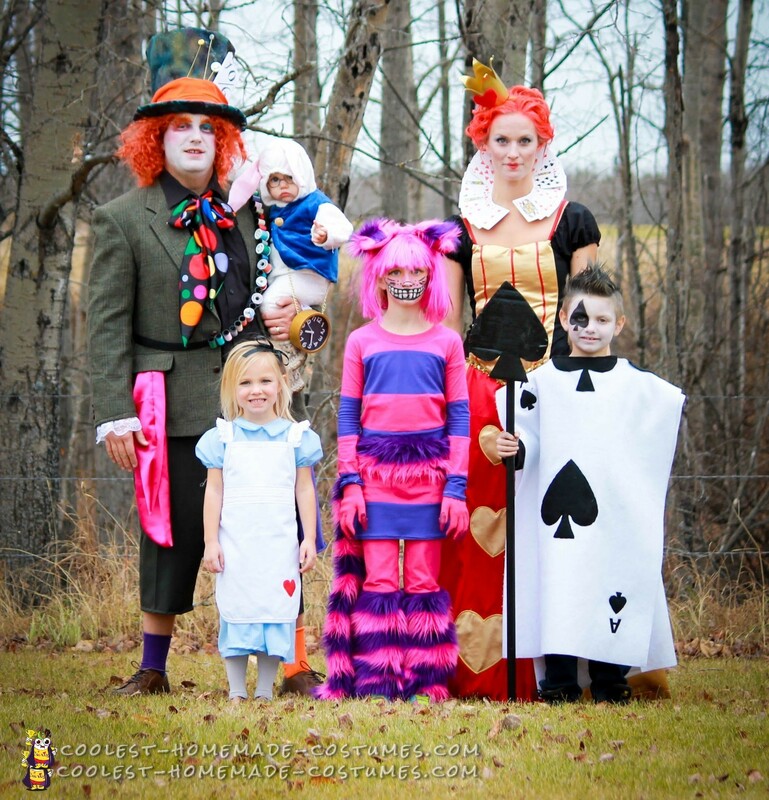 To begin with our Alice in Wonderland costume ideas, nearly all items were cut, sewn, (some glued) from fabric. The wigs for the Mad Hatter and the Cheshire cat were purchased at Amazon. The Mad Hatters jacket was bought from a thrift shop.